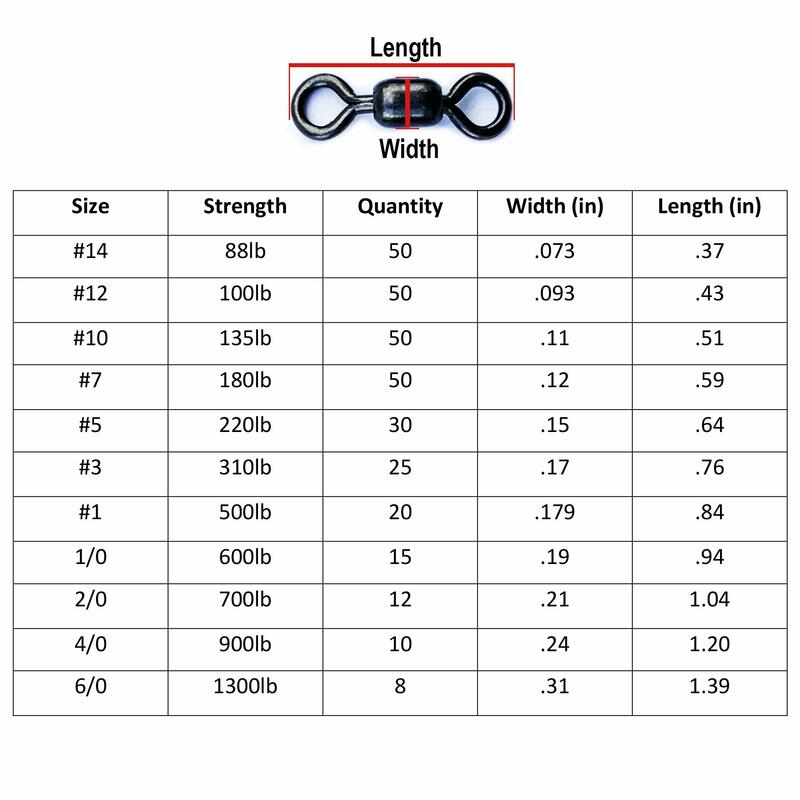 100% Stainless Steel Saltwater Fishing Swivels are strong, rust resistant, and reliable. 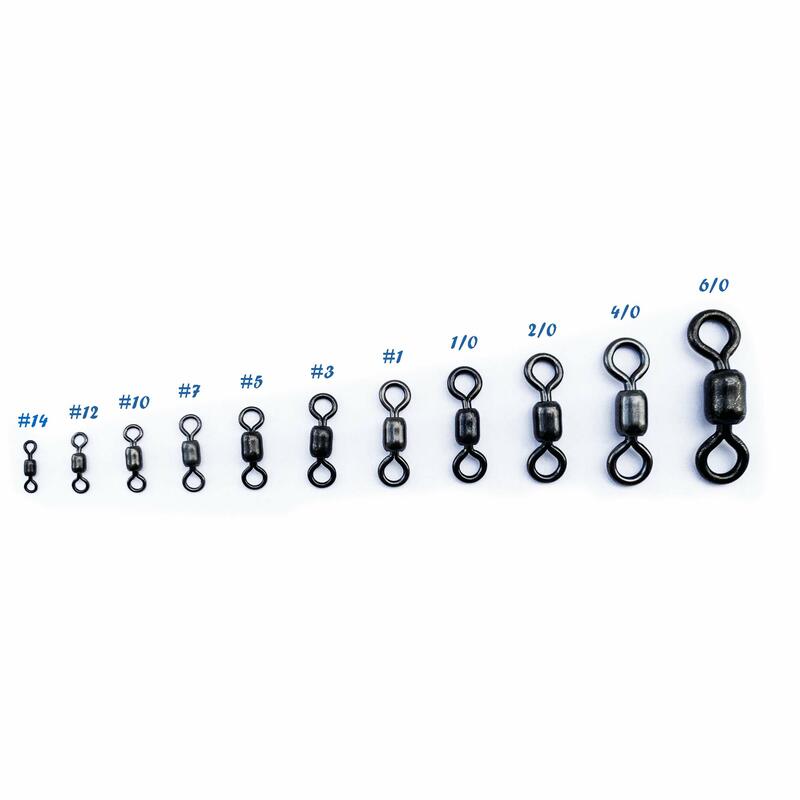 Ready to fight the big one when you are the Super Swivels rolling barrel swivels are the go for very angler on water. Made by Fishermen for Fishermen since 1947! 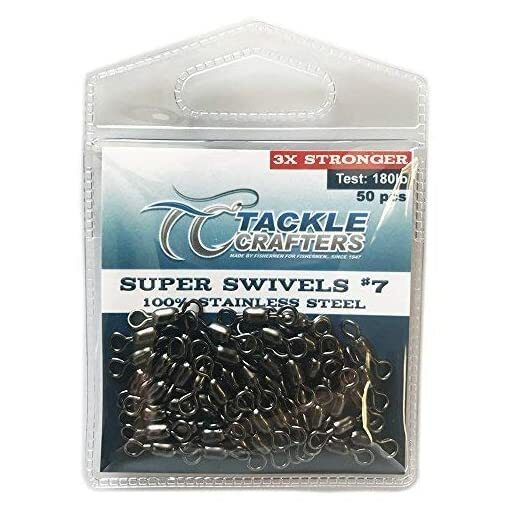 100% STAINLESS STEEL: The Tackle Crafters Super Swivels are 100% stainless steel making them stronger, more reliable, and more rust resistant then your average swivel. Use the swivels the pros use. 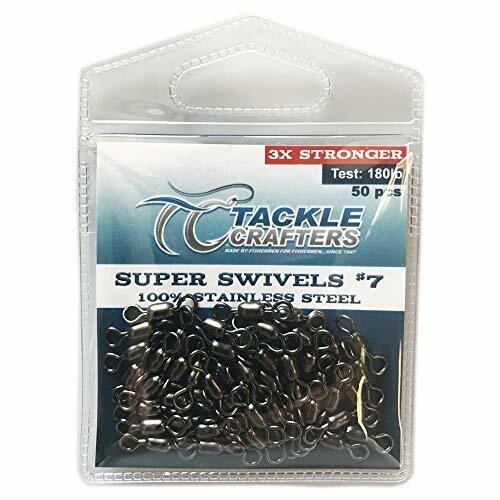 Use Super Swivels!!! 3X STRONGER: The Super Swivels are 3x stronger then your average rolling barrel brass swivel. The high quality stainless steel construction gives these swivels unmatched strength and fighting power. With the #1 swivel able to withstand up to 500lbs of force!!! 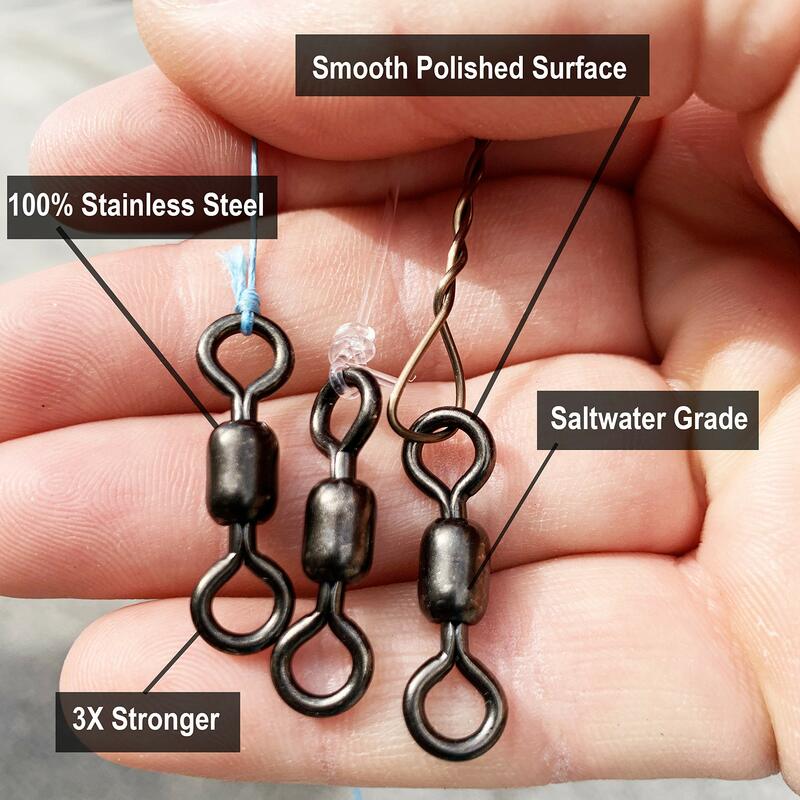 SALTWATER GRADE: The Super Swivels are saltwater grade rust resistant swivels that are extremely reliable and dependable. The rolling barrel swivels are going to be ready when the fish bite!!! 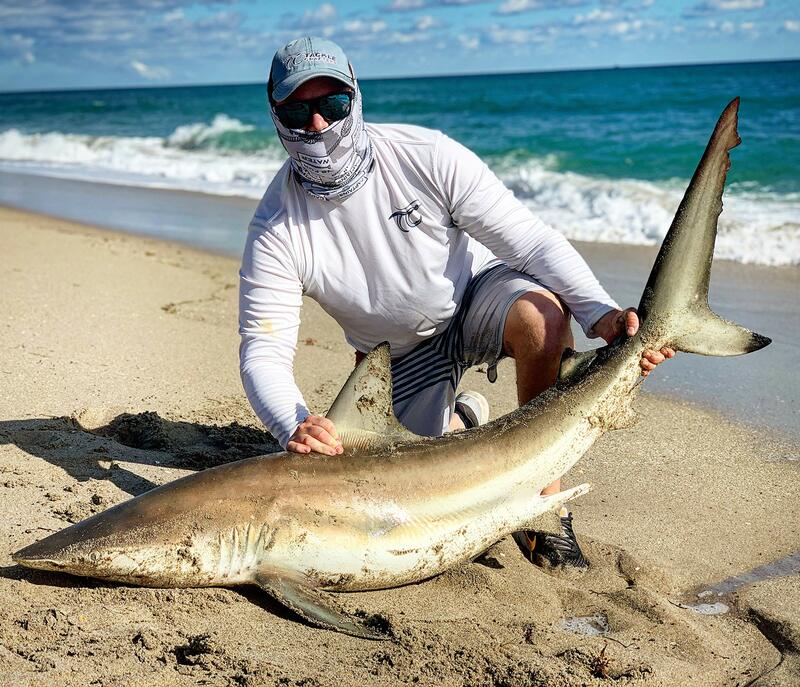 Don’t lose the fish of a life becuase of cheap terminal tackle. 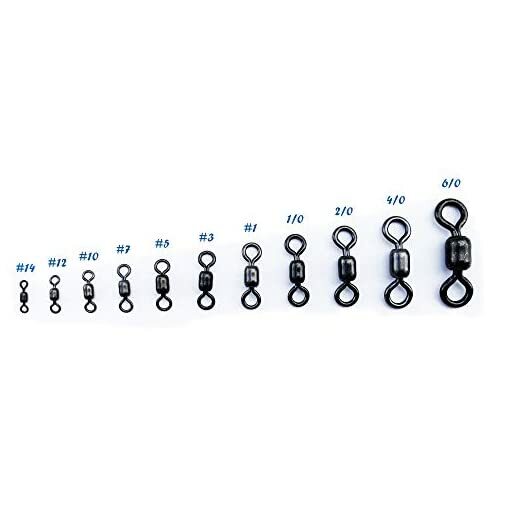 The Super Swivels are your go to swivel when fighting the big one! 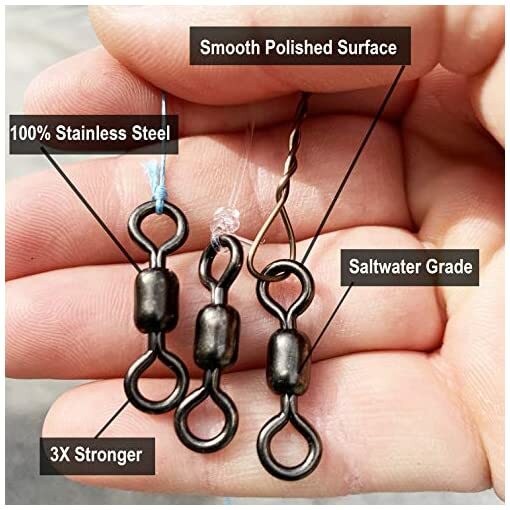 LONG LASTING AND DURABLE: Made to with the rigures of extreme fishing conditions the Super Swivels will outlast all your other swivel and are 3x stronger than brass swivels giving the ability to heat on even the most hard fighting fish. MANY SIZES: Available in 11 sizes from #14 to 6/0. 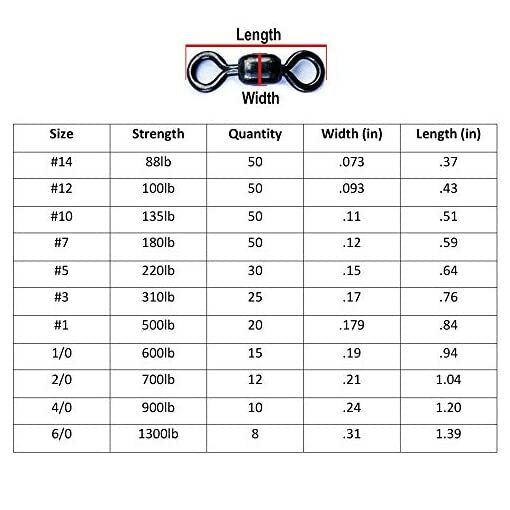 See Chart for all sizes, breaking strengths, and quantities per pack.